Be a law abiding citizen and muzzle your Pitbull when you are going out. And you will get thankful glances of your neighbors or passers-by. 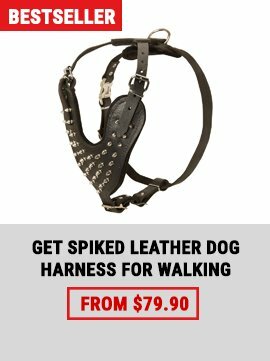 Our Wire Cage Leather Padded Muzzle will give your dog as much freedom as it is necessary for your dog’s pleasant walk but prevents it from some undesirable actions. 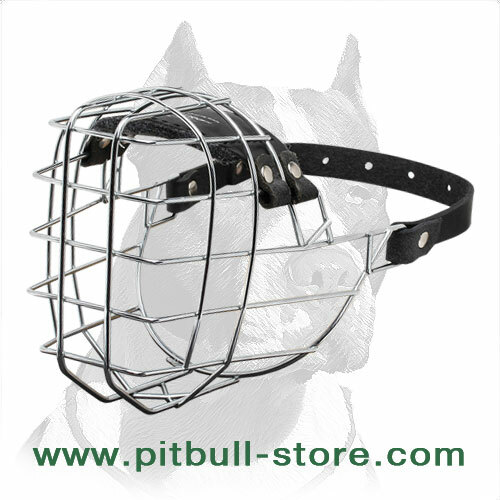 Our wire basket cage muzzle is highly recommended by vets and professional dog trainers. 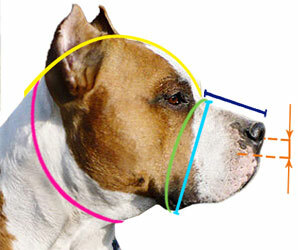 Due to its wire basket structure it is characterized as well ventilated muzzle that allows as much freedom to your dog as possible when your pet is walking or being trained. The muzzle allows drinking water, barking and panting. At the same time some undesirable actions like biting, chewing and eating strange objects such as rocks or sticks are inhibited. The muzzle is made of strong chrome plated wire that maintains the shape of the muzzle and guarantees a long service life of the muzzle. 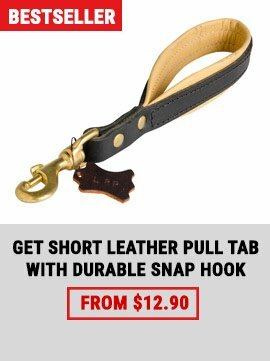 There is soft padded leather part that is placed to create more comfort to your dog when wearing muzzle and to prevent skin rubbing. This leather part is stitched and fixed to the cage with the help of rivets. The strap is adjustable and won't stretch or become frayed. 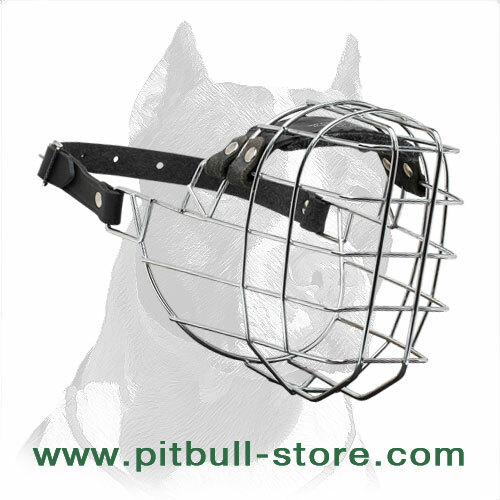 Due to its structure the muzzle is very comfortable for your dog and is suitable for training, transportation a dog, patrolling, guarding and visiting a vet. 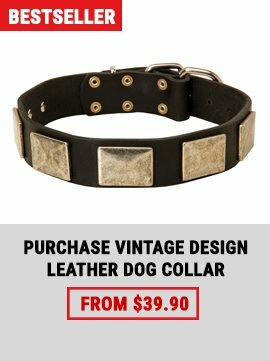 It is not recommended to leave your dog alone or with children without supervision when wearing this muzzle. It may cause injuries to itself or to your children.